Harry Street Meats is a young farm enterprise founded by Harry Street in 2013. Originally from the city of London; Harry had a resonant career in estate management and agriculture before deciding to produce and feed the U.K population from East Dorset. Harry initially developed the farm with the goal in mind to raise calves for veal and beef. 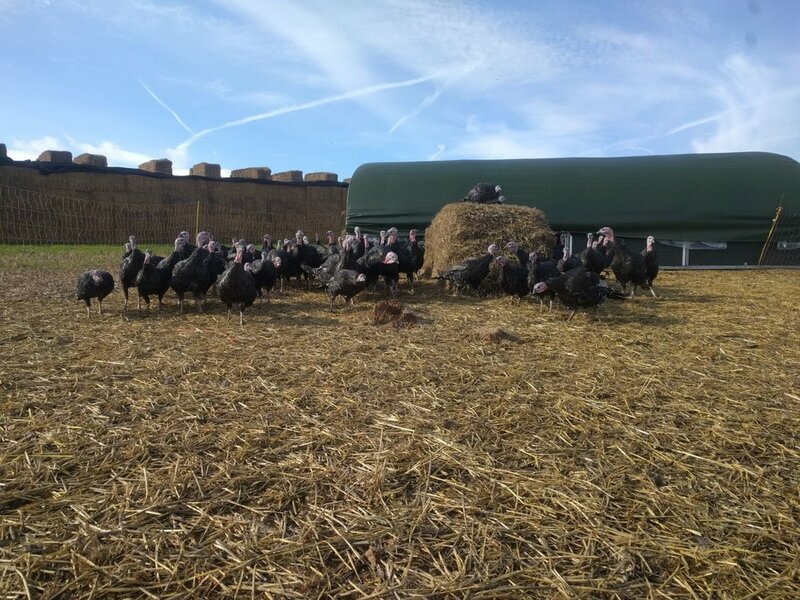 The farm progressed and expanded; a year later with 500 calves and Christmas Turkeys becoming a speciality. All our animals are reared at Bradford Farm. We pride ourselves on the highest standards and are accredited to the RSPCA Freedom Foods and Red Tractor. We supply local restaurants, butchers and pubs; The Langton Arms and Paul Keating Butchery, Wimborne. Our free range chickens are a new edition to Harry Street Meats. We rear them in small groups with lots of outside space to roam, scratch and peck. This gives them the healthiest and most natural diet resulting in much larger, better tasting chickens than the average supermarket birds. All our rose veal is accredited by the RSPCA through its Freedom Foods organisation. We work ethically to raise veal that is pink, delicate, tender, and delicious. Eating veal is a great option for a healthy diet. It is low in fat, versatile and has great flavour. We take time growing our turkeys with care and passion to produce succulent and delicious meat. Our birds are hand plucked on the farm and are hung to tenderise and enhance the flavour. Our free-range beef cattle are grass fed with a supplement of minerals. In the summer they roam free on water meadows which enables them to forage naturally enhancing the flavour of the meat.